My Holiday Photos. 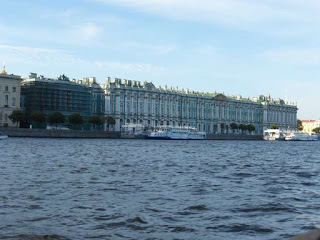 : Baltics Cruise July/August 2014 Russia Pt. 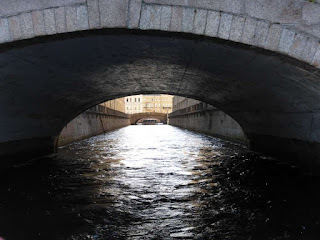 4 - Rivers and Canals. 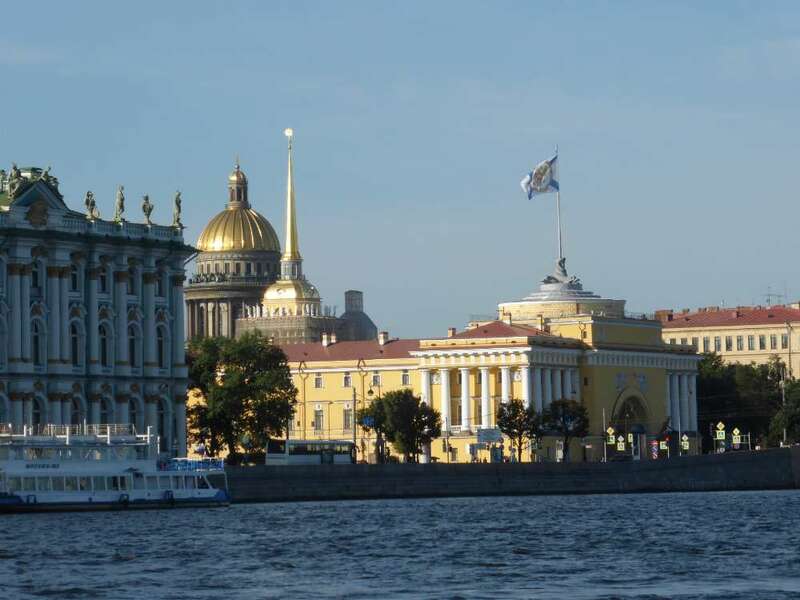 Baltics Cruise July/August 2014 Russia Pt. 4 - Rivers and Canals. 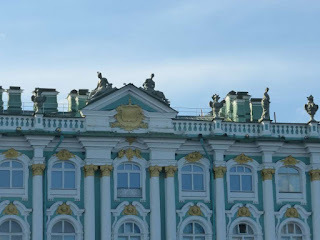 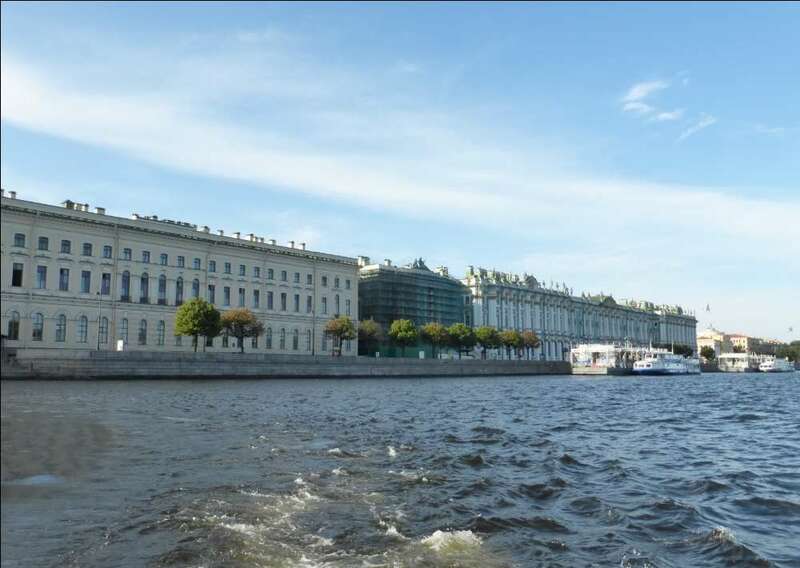 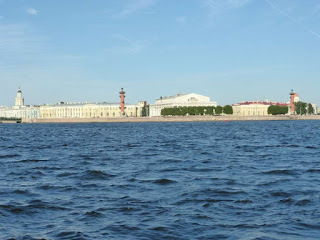 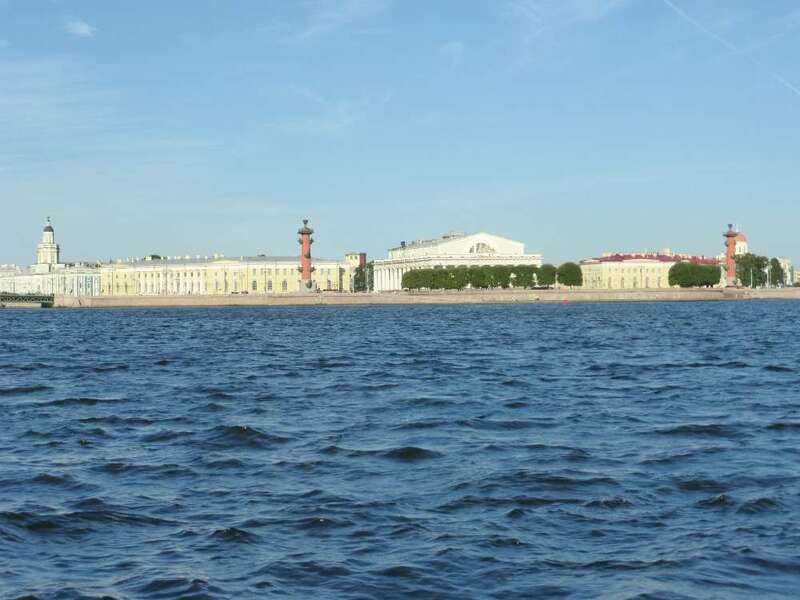 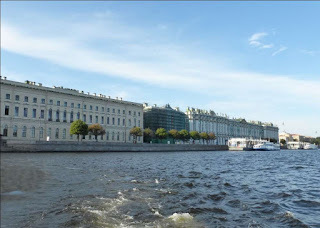 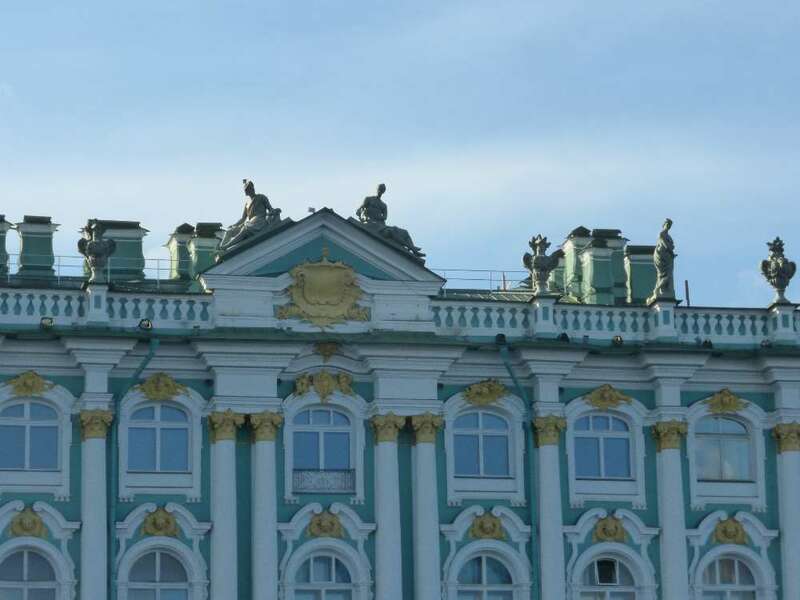 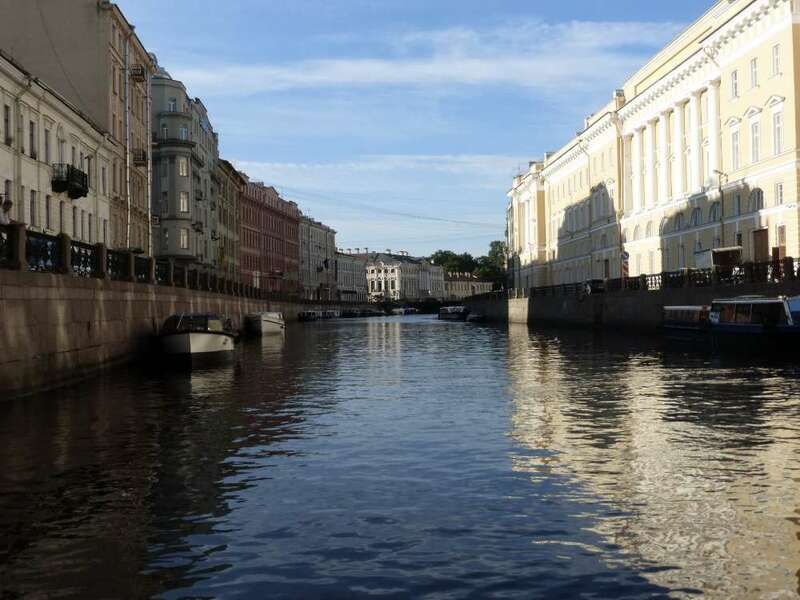 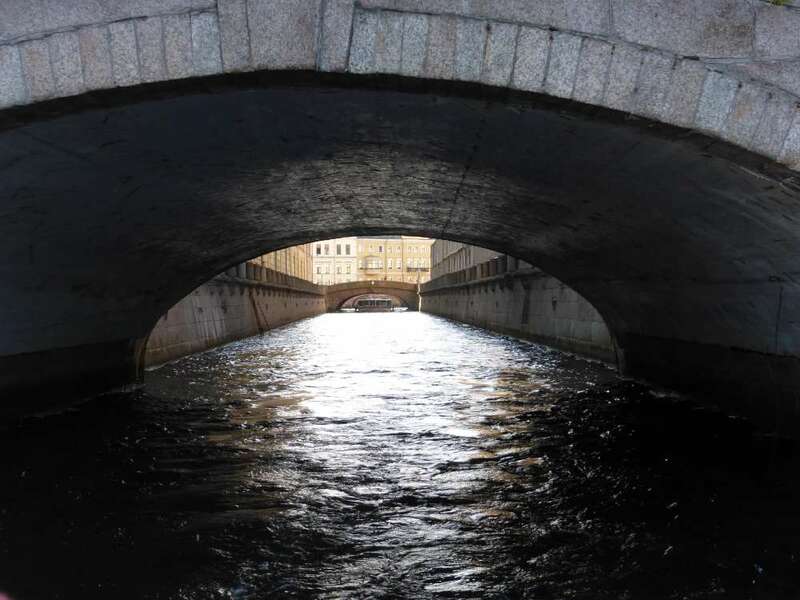 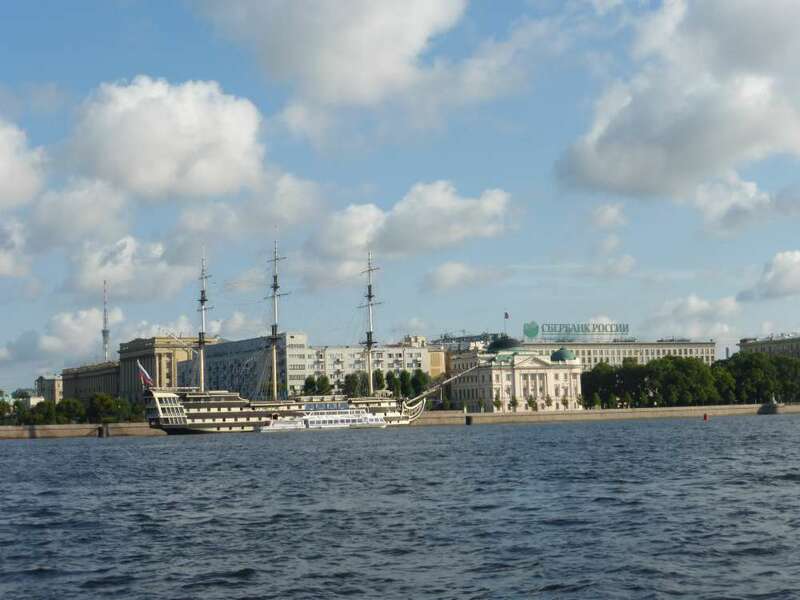 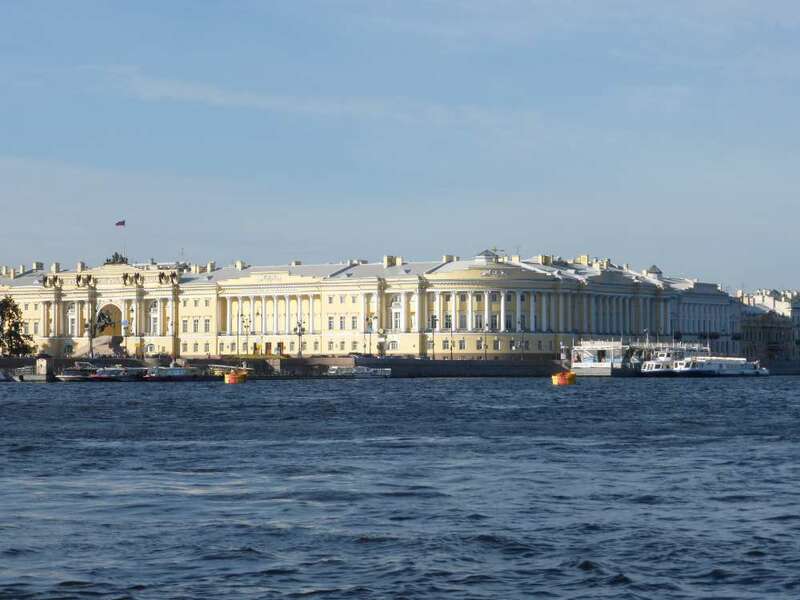 We had an early start the next morning for a boat trip on the River Neva and the canals of St. Petersburg before we went to the Hermitage. 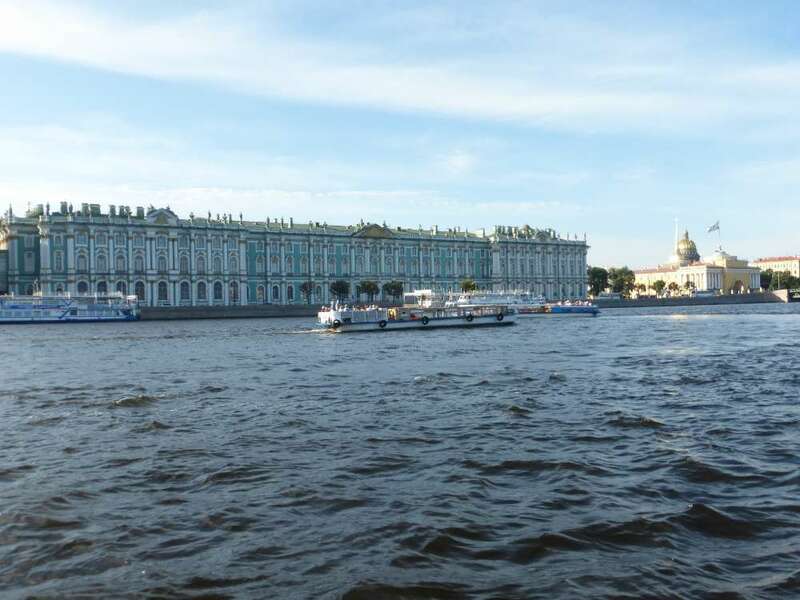 We got on our boat with another small tour party and were told to be sure to remain seated. 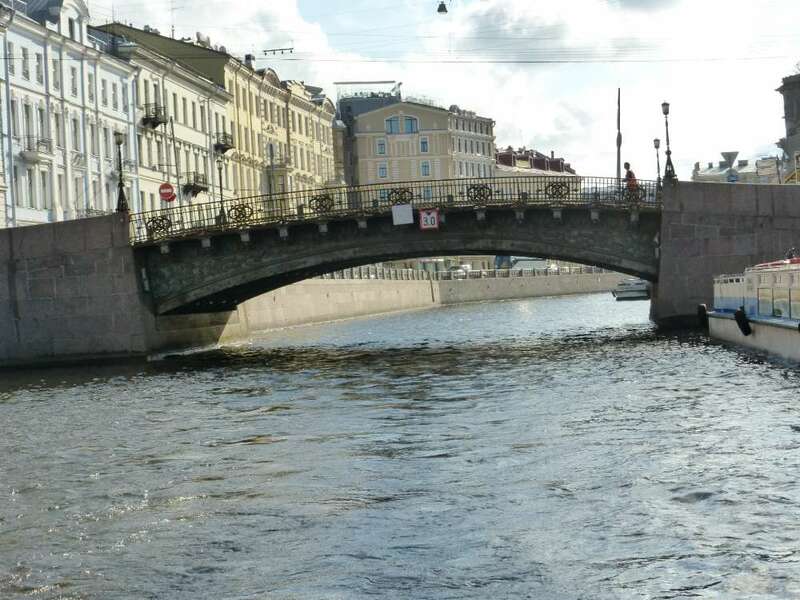 There was bridge after bridge on the canal, and they were all very low. 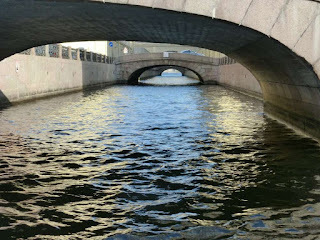 As the canal widened the bridges got a bit higher. 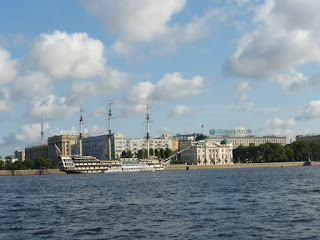 Then we got onto the River Neva. 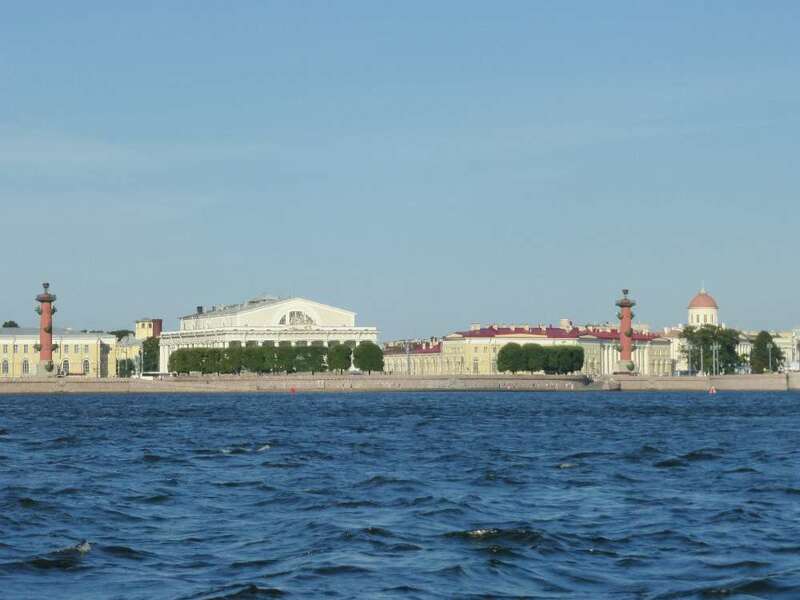 The Rostral Columns can be seen in the distance. The golden dome of St. Isaac's Cathedral visible in the background. 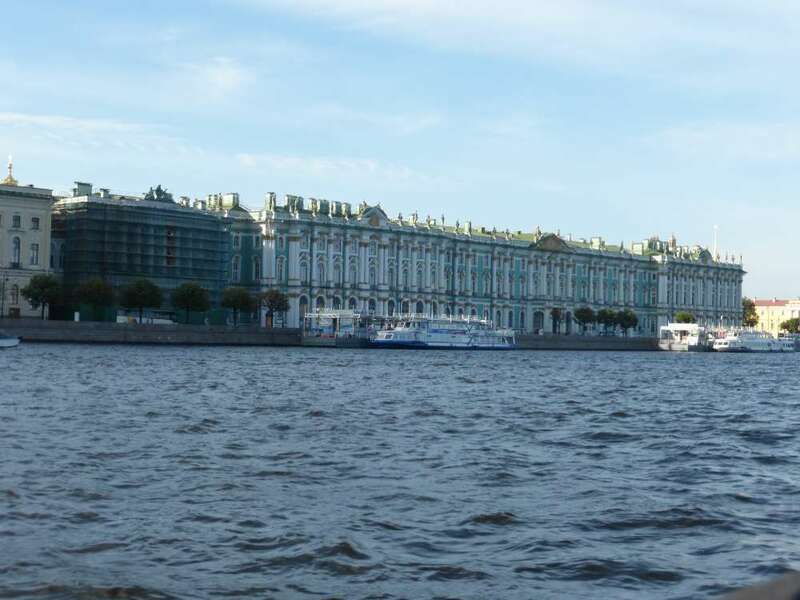 More views of the Hermitage. 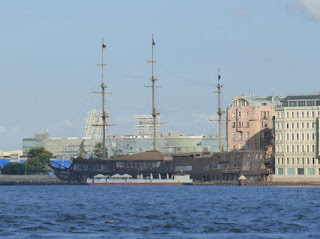 STS Mir a training ship on the River Neva. 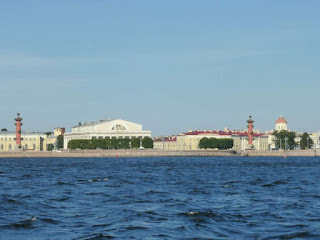 On the way back, a closer view of the Rostral columns. Another ship which we were told is now a floating restaurant. 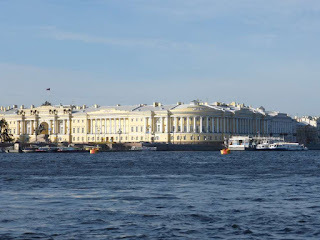 After we got off the boat it was time for our tour of the Hermitage which will be in the next post.